The Library of Congress website has all sorts of great resources, including a collection of old photos from the Chicago Daily News. 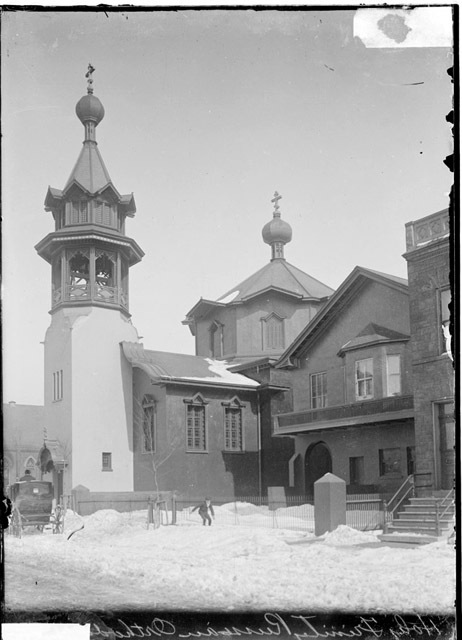 The following five photos are of the newly-built Holy Trinity Russian Orthodox Cathedral in Chicago. 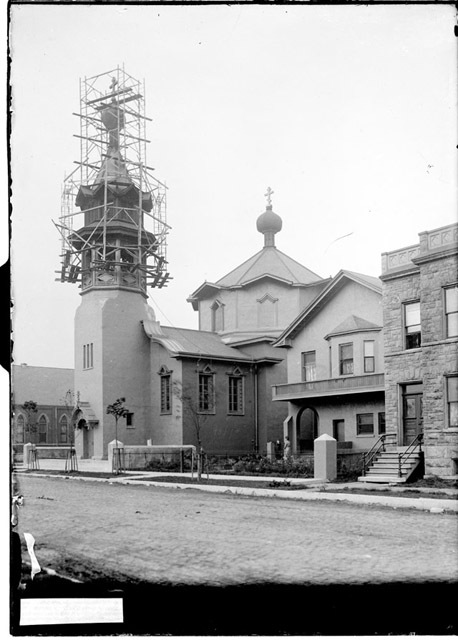 This photo shows the Holy Trinity bell tower still under construction. Here, it's obviously winter, and the bell tower is complete. It looks like a young boy is enjoying the snow. 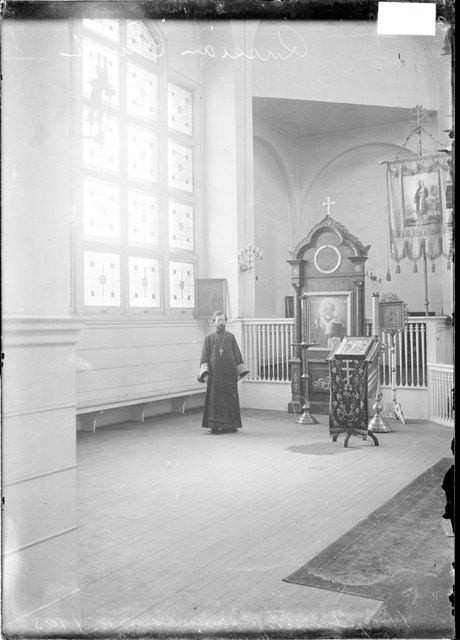 In this interior shot, a priest -- probably St. John Kochurov -- is preaching from the pulpit. 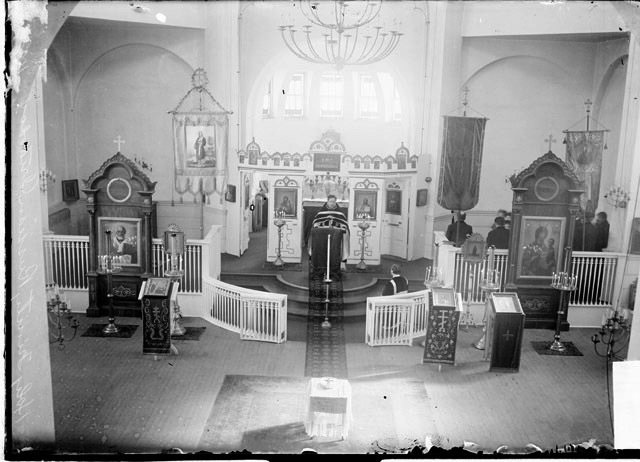 A choir is at right. 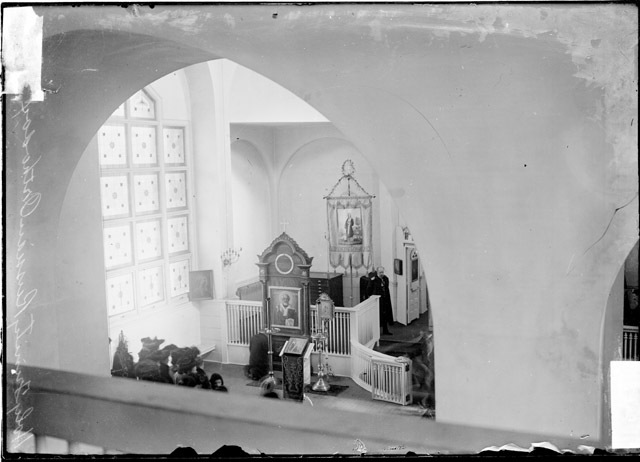 A man kneels before an icon of St. Nicholas, and a cluster of ladies in black hats look on. Who is the man standing next to the banner? A Russian official of some sort? Fr. Sebastian Dabovich, head of the newly-created Serbian Mission, stands inside Holy Trinity Cathedral.